I whisper secrets to your soul. I pretend to keep my eyes on you. I pull tides of ocean waves. I am your silent super moon. This poem came to me in stages beginning with my morning walk with the super moon earlier this week. I was reminded of this form when Elisabeth Ellington used it to write a response poem to the first poem in my book Bayou Song, I am a Beckoning Brown Bayou. I’ve used the form with students and adults in writing workshops. Here is a template for the form. If you use it to create your own poem or have students respond, let me know. 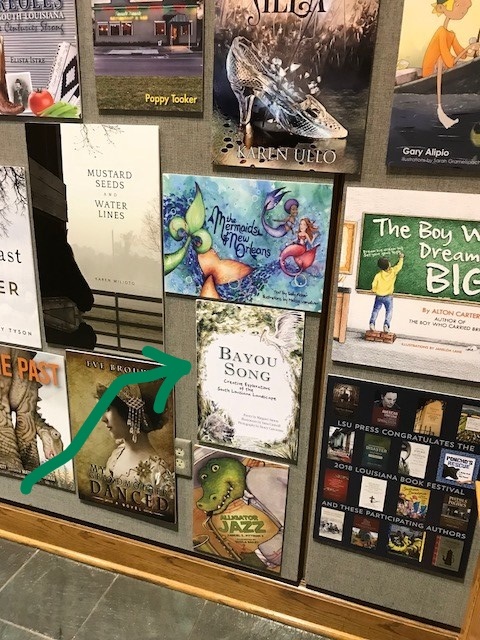 I love to share how Bayou Song inspires on my book Facebook page. Without young kids or grandkids of my own, I’ve been known to borrow them. 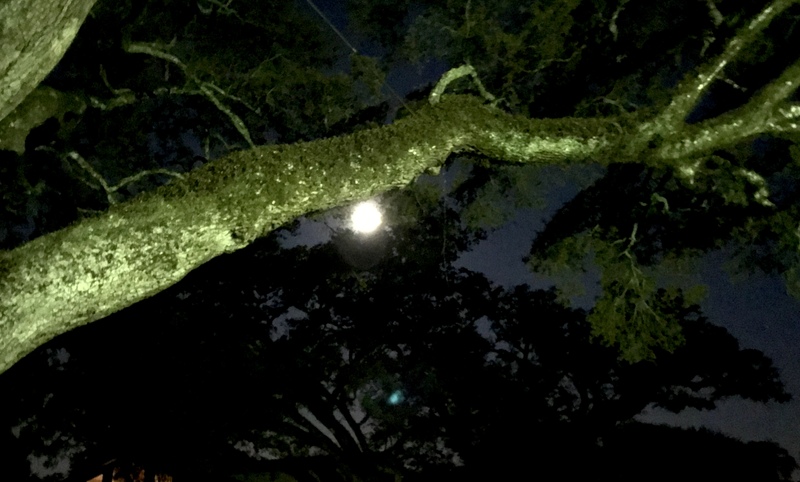 Last week I was planning to hold a workshop around Bayou Song, but no one registered (end of summer syndrome perhaps), but no worries. My neighbor sent over her almost 8 year old, Jack. 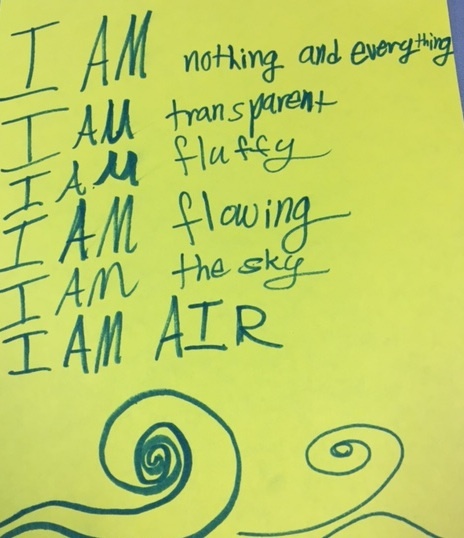 We worked together on an I am poem. Rather typical boy in the summer, when I asked Jack what he wanted to write about, he said, “Well I really like soccer.” So soccer it is. We are going to write a poem from the point of view of the soccer ball using I statements. Jack caught on pretty quickly and started spouting lines. 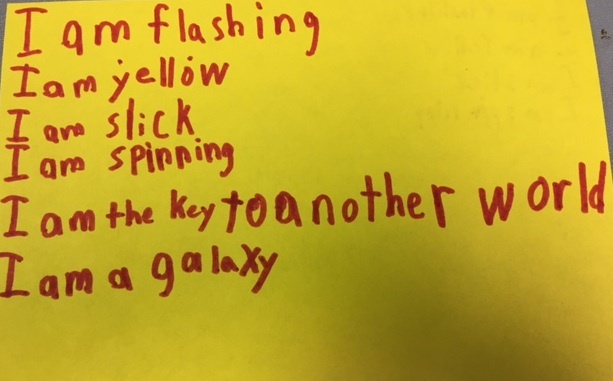 When Jack got to the part where he wanted to write words like cool and awesome, I directed him to more specific language. How do I know you’re a soccer ball? I’m a sphere! And I am patterned with black and white! I am a super stylish soccer ball. I spin as fast as a jaguar. I fly like an eagle. I want you to stop kicking me! I roll to the goal. Then we watched a video of Jen Vincent’s son making a zine with a single sheet of paper. 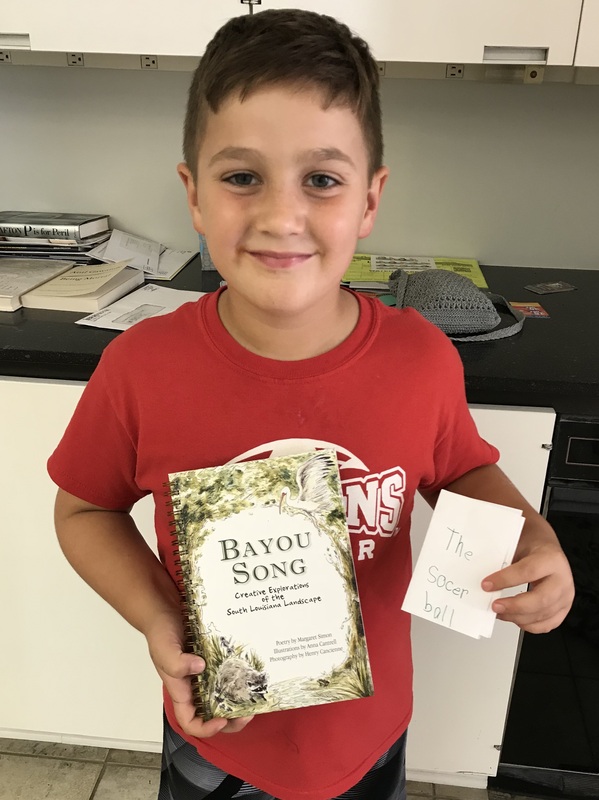 Jack with Bayou Song and his own zine. I made a zine with a snake “I am” poem alongside Jack. He helped me with some of the facts, like snakes sleep with their eyes open. We Googled what a ribbon snake eats to find an s-word. I made a video of my zine. Thanks to Jack for being my guinea pig for this activity. I look forward to sharing it with more students. Working one on one, though, is a great way to try out a workshop. Poetry Friday is with Tara at A Teaching Life. 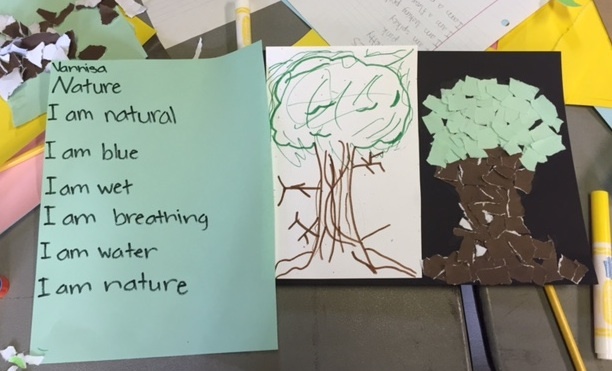 Gifted by Nature Day was coming up, and I had forgotten that it was my job to do a poetry activity. Yikes! What would I do? Some middle school students would be doing a play based on The Jungle Book. Their teacher explained in an email to me that the theme would be Be Yourself. I typed into Google search “Bio-poems.” I didn’t want to use the same ole bio-poem form. Up pops one of my favorite performance poets, Allan Wolf. 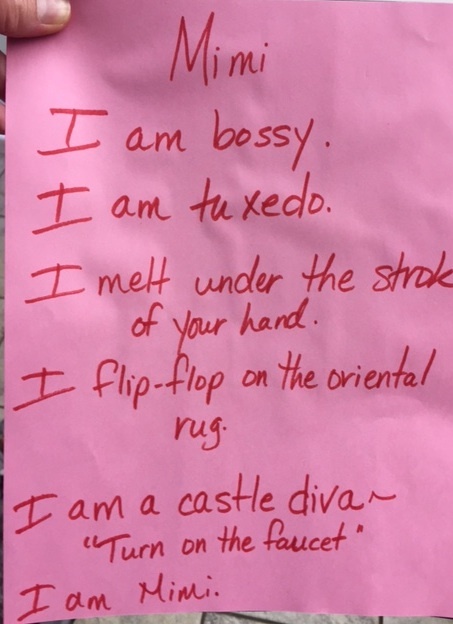 On his website, he had this mentor I Am poem. Writing that first line proved the most difficult. 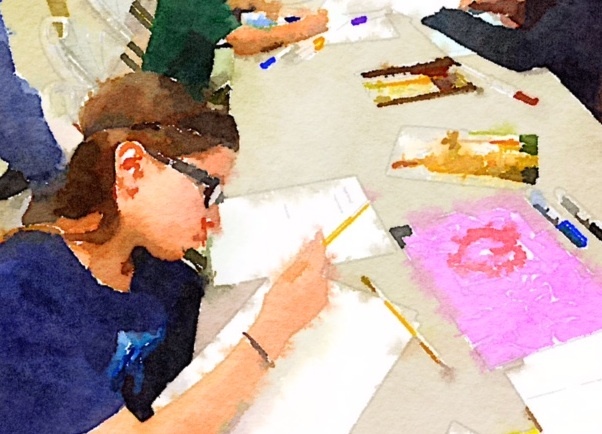 The students I was working with are gifted, and there’s nothing better than watching a gifted kid feel a challenge. Encouragement came from other kids who had found a first line. A young Laotian girl named Patra sat next to me and said with complete honesty, “I am a little, lovely lark.” I encouraged her to use that metaphor throughout her poem. Her teacher texted me a copy to feature here. I am a little, lovely lark. I wonder what it’s like to fly. I see the puffy, fluffy clouds. I worry when I’m late. I cry when–I don’t cry much. I try to do my best in school. I hope to grow wings! Jacob missed Gifted by Nature Day, so I presented the activity to him back at school. He decided to take his poem in a different direction and become a planet, specifically Mercury. You can read his poem here. This form worked for multiple elementary grade levels from 2nd graders to 6th graders. If you chose to use this activity in your classroom, I’d love to hear from you. Cherish is my 2017 one little word. So when my youngest daughter came home and wanted to go on a swamp tour, I took the morning off to cherish this special time. Whether it was the high air pressure or the slant of the sun in May, but the cypress swamp on Lake Martin was glowing. I wished I had brought my big camera, but my phone had to do. Even so, I captured some amazing images. Lake Martin is a nature preserve and bird sanctuary, so there is no feeding of the animals of any sort. The guides do not attract the alligators to the boat. Even so, there were plenty of gators around to see. All sizes, from a small baby about 2 feet long to an old grandpa at 14 feet. Many of them were perched on branches sticking out of the water sunning themselves. Gators have no sweat glands, so they open their mouths to cool off. This makes them look fierce. They pretty much ignored us, though. I learned that there are few snakes in the swamp because the birds and the gators eat them. The lake is home to all kinds of birds from the largest species of heron, the grey heron, to the littlest chickadee. We were mesmerized by the roseate spoonbills flying above, a spray of pink on the sky. I enjoyed being a tourist in my own home. We should do this more often. I loved learning new facts, some of which I want to “fact check”, such as Spanish moss was brought into Louisiana on a bird. How do they know that? 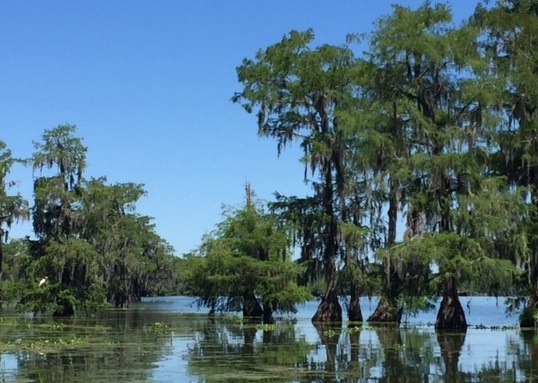 If you plan to come to South Louisiana, you should plan on a swamp tour. However, it’s pretty warm, so you’d probably not want to take the trip during the summer. I made an Animoto video and digital poem about the cypress swamp. Enjoy! Use this button created by Leigh Anne Eck to post your Digital Poetry this month. Every year we gather all the elementary gifted students at our local city park for a day of playing strategic games and combining nature, art, and poetry. This year our 6th grade students led the day. They’ve been working together once a month all year to plan a day of wonder for all our students. They performed a play about the Wonders of New Iberia. 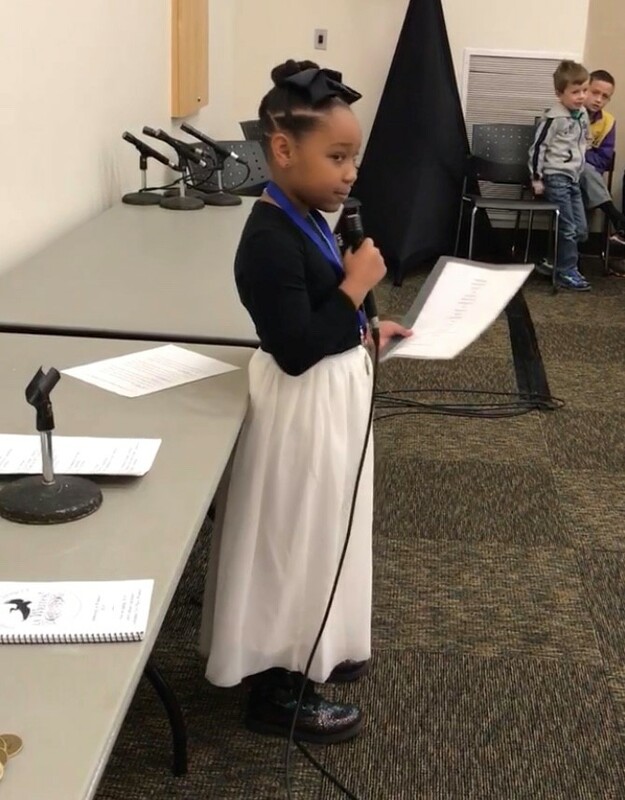 Written, designed, and performed by students, the play led the audience on a tour of the wonders of our area. 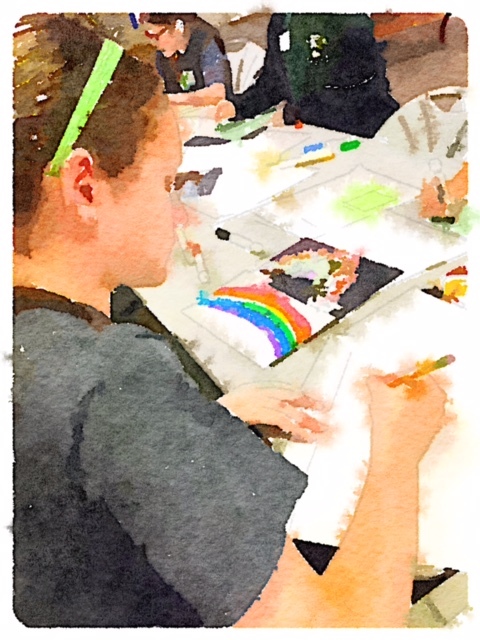 The 6th grade students led an art and poetry activity. Their instructions were to think of something you wonder about and write an I am poem about it. The form was simple. The students wrote and tore paper to create an art piece to accompany the poem. I participated because I wanted to sit next to students and be one of them. I thought about my diva cat, Mimi. 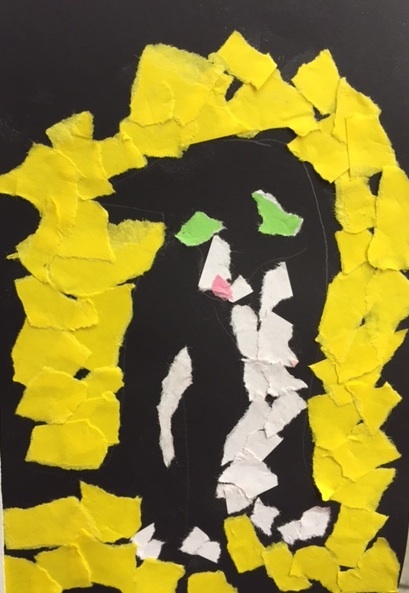 One of the students helped me with my torn paper art. This post is my 600th post. I never would have thought I would get here when I started this amazing journey. Thank you, friends and readers!